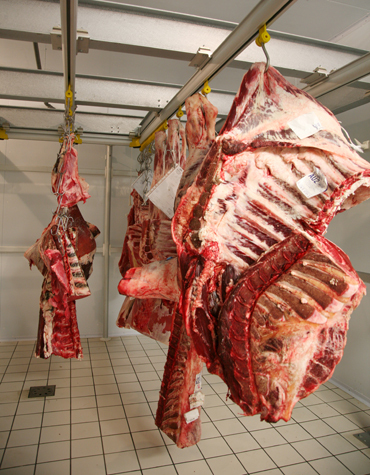 Practical and safe meat transport with smooth, quiet gliding action. 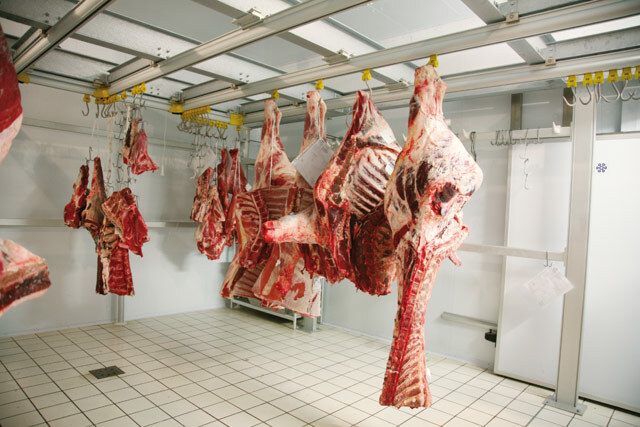 The IM 09 sectional overhead rail system is the ideal solution for fitting out modern butchery departments and is particularly suitable for hanging up, transporting and storing meat inside walk-in refrigerators and processing rooms.The advantages that come with the system are time-saving installation, highly practical use and hygienic safety guaranteed by the use of anodized aluminium and non-toxic plastics. 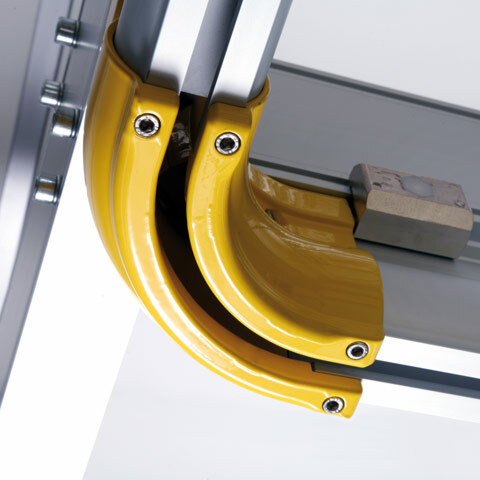 A sectional, stable, solid system that is built to take the loads and strain, featuring smooth, noiseless gliding. 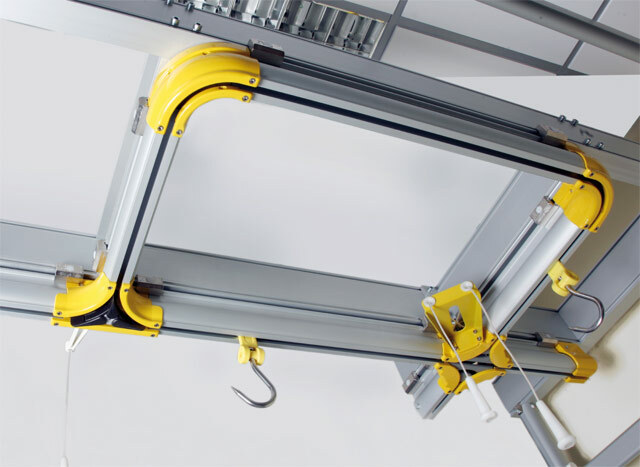 Quick and simple to assemble, this system – complete with accessories allowing system components to be put together at will – provides great adaptability to a whole host of different needs. 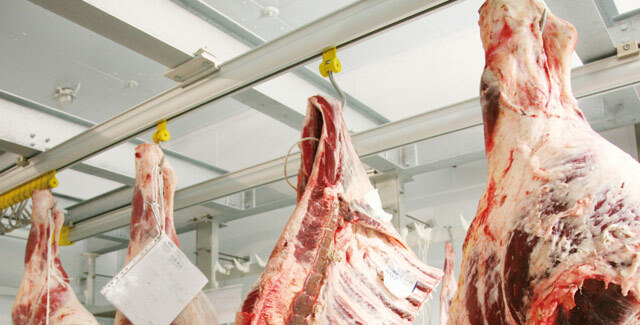 Moreover, the new three-way switch system patented by Italmodular means meat can be moved effortlessly in three directions, providing operators with a supremely practical and safe work space, at the same time eliminating the time wasting associated with changing direction. 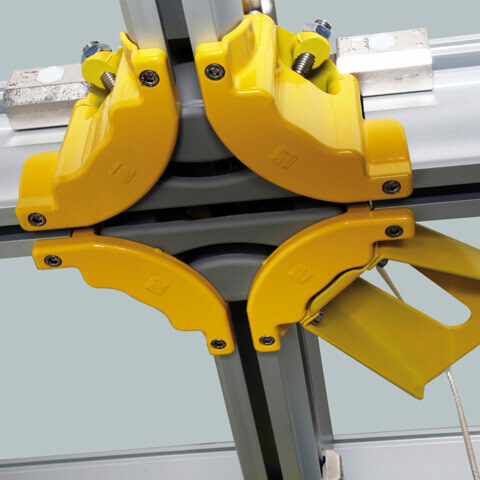 Quick and simple to assemble, this system – which comes complete with accessories allowing system components to be put together at will – offers the advantage of time-saving installation and great adaptability to individual application needs. Made entirely from anodized aluminium alloy 12 microns thick and non-toxic plastics, it is guaranteed to offer lasting stability against corrosion by water and moisture and a high standard of hygiene. 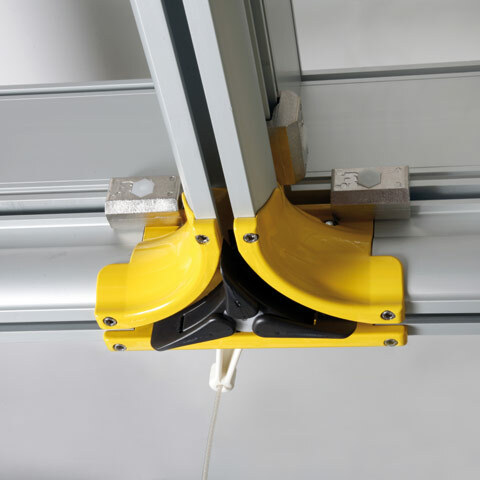 A stable, solid sectional system that is built to take the loads and strain, featuring hooks that glide smoothly and noiselessly. 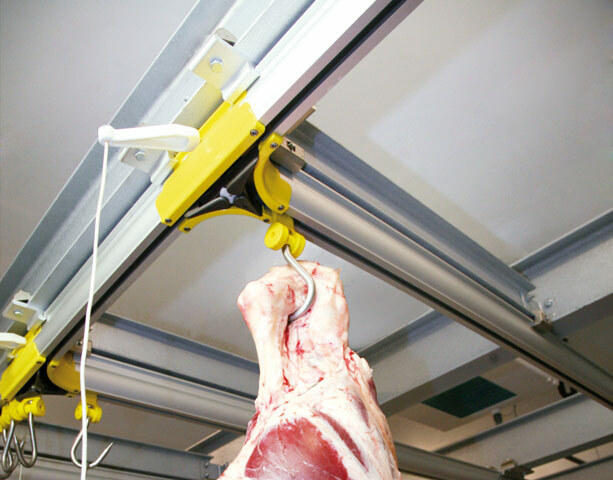 The three-way switch system patented by Italmodular means meat can be moved effortlessly in three directions, providing operators with a supremely practical and safe work space, at the same time eliminating the time wasting associated with changing direction.